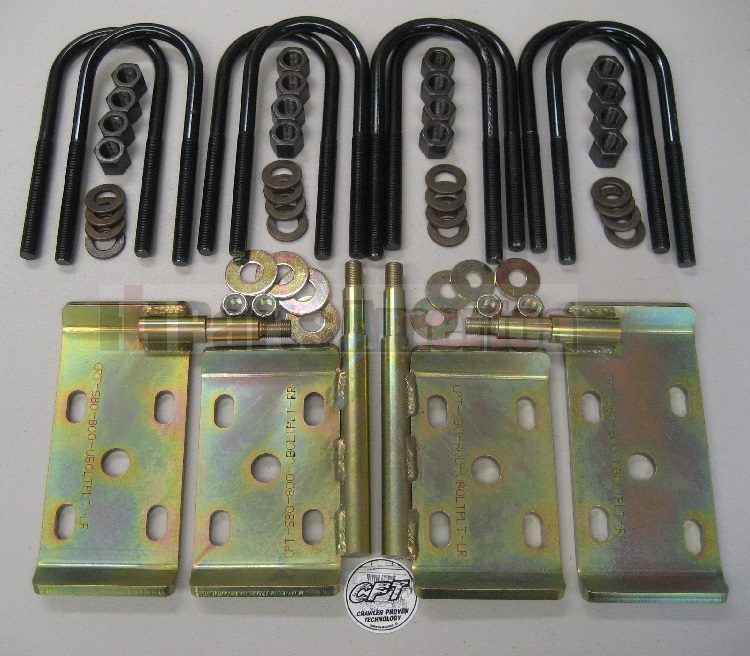 CPT Ubolt Plate Set With or Without Ubolts for 1961-71 Scout 80/800 - For All Four Corners! Finally a solution to those hard to find ubolt plates for your 1961-71 Scout that always seem to be cracked or bent. These ubolt plates are 5/16" thick, have a precision machined shock mounting stud and are coated in a gold zinc coating for resistance to rust and corrosion. Designed to fit 1/2" diameter ubolts and are slotted for used on Dana 27, 30 and 44 axles. Includes Nuts and Washers for shock mounts.